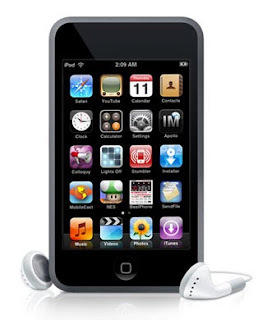 A Case of the Runs: iPod Un-Touch-Able? You are getting a new job where you must Twitter?!? Sounds interesting and new! I run with an iPhone in an arm band (thanks to family plan savings). It's not too heavy and the sweat hasn't hurt it so far - I expect it may one day. I always run with my phone for safety, and I don't know that I'd want to carry the weight of both a phone and the touch, since the little clip ipods are so light and easy. If you want to get one for work / waiting times, I'd make the decision based on that over running.